Mr. Lou was a part of LOD Canada from the very first show. His smile, his showmanship were unmatched. He gave everything on and off the stage and made everyone around him feel special. That was his gift, he made you feel like you were the rock star, and he never acted like one. 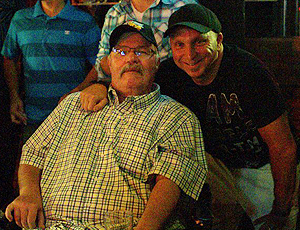 He was a member of our LOD Canada family and he made so many friends here in Canada that will forever associate LOD Canada with Mr. Lou! His signature LLU (Lou Loves You) said it all. WLL and WML (we miss Lou)! 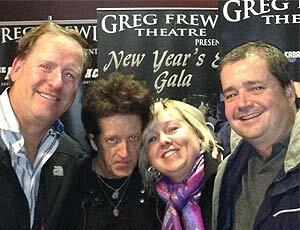 An amazing mother, wife and friend, Betty atttended every show in Niagara, initially to support her cousin, Dave, but eventually embracing the cause. 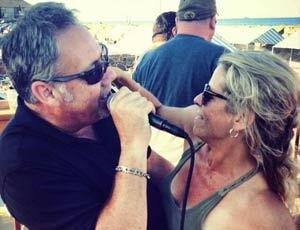 As well, Betty made her way to New Jersey several times with her LOD friends and her husband for the LOD Festival in Asbury Park. She volunteered at the Niagara shows and her spirit and smile were infectious to anyone she encountered! She will forever be tied to Light of Day Niagara and beyond. In 2014 LOD Niagara honored Betty's support by creating the Betty Sargeson Supporter Award, given to an individual who has volunteered their time or suppported LOD Niagara by attending shows and/or volunteering their time. Don popped into the DANIMA office after LOD Niagara's first show to thank LOD for supporting Parkinson's. He had just been diagnosed with Parkinson's. 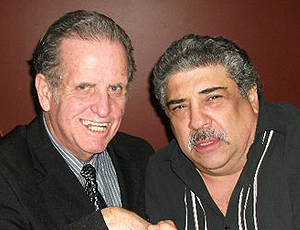 From that day forward you would see Don at all the summer shows at Yanks Old Niagara and every LOD Niagara show until he passed away. Just before he passed he was able to watch LOD 8 on video in his hosptial bed. Don was a friend, but more importantly he was the reason why we do this. We'll miss his wit and his smile but his spirit gives us purpose...we miss him! 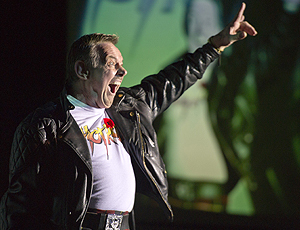 In 2013 LOD Canada was lucky to have the legendary WWE wrestler, Roddy Piper, MC the Niagara and Toronto shows. He quickly became an advocate of the cause and became a friend of the LOD team. Roddy had plans to return to Niagara but unfortunately it didn't happen. He brought a smile to the faces in the audience, specifically the children. He was a man with a big personality and an even bigger heart. 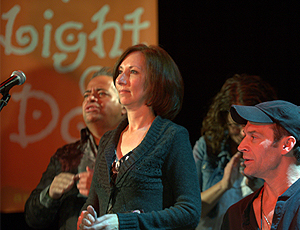 Paul, along with Karen Dowell from Parkinson's Canada, was a strong supporter of LOD Canada in the early years. In fact, at LOD Niagara II Paul spoke briefly about having Parkinson's getting a few laughs from the crowd with his dry wit! After his passing LOD Niagara established the Paul Pasmore Contribution Award which goes to a business or business person who contributed to LOD Niagara. Peter became a big fan of the Niagara Falls LOD shows many years ago. He was immediately drawn to the sounds of Willy Nile, Joe Grushecky, and Joe D'urso. He soon expanded his road trips to Asbury Park, where LOD provided him with some unexpected and powerful live musical moments, including watching a sound check of the Boss, his all time favorite artist. 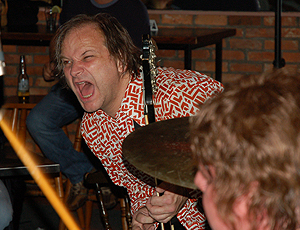 He became one of the biggest supporters of LOD Kingston and would rally the Gananoque crew to join him in sharing his passion for live music. Lovable, affable, and always welcoming to all that met him, his bigger than life persona will continue to resonate with those that were fortunate enough to have spent time in his company. Eddie Mac was a phenomenal Jersey bar band leader, father, husband, role-model, and was also a passionate supporter of Light of Day in both Canada and the US. Ed was the epitome of the Rock ’n' Roll spirit, and on-and-off the stage he was huge presence with an even bigger heart. He was always there to lend a helping hand, whether it was by singing a song, or putting guitars away after a show, or by just being a kind and endlessly supportive face in the crowd, and we miss him dearly.